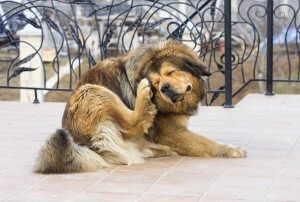 Fleas and ticks can be major concerns during the summer months. Appropriate flea control in Beverly, MA and tick control in Woburn, MA can protect your pets from these dangerous parasites. Having a professional treat your yard (for ticks) and home (for fleas) is one of the most effective prevention options, and your local Modern Pest control expert can apply products that specifically target these pests. You should also regularly apply an oral or topical flea and tick preventative product to your pet, as advised by your veterinarian. Many pet shampoos and powders also contain pest control compounds, so regular bathing can provide some additional protection. Additionally, flea collars and other accessories can deter parasites. Disrupting flea and tick life cycles can be difficult, so it is important to use ongoing preventative measures after you treat a flea or tick infestation. Flea control in Beverly,MA and tick control in Woburn, MA requires a combination of prevention, detection, and elimination tactics. If you suspect that your pets and your home is infested with fleas or ticks, contact Modern Pest Control Services today! Protect yourself and your pets from these irritating pests this summer!